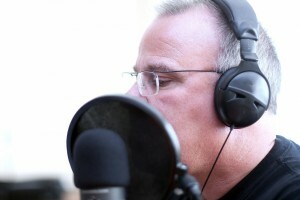 Online transcription services are great for saving your radio interviews. It doesn’t matter whether you’re AM, FM, SiriusXM or a podcast…if you have people talking during your program, it’s important to get those words transcribed. Why? Because in this information-based world, there’s always going to be a need for words that are searchable. So why is it so important to transcribe audio to text, and how can it even end up helping your business? Backup: Digital files are interesting. They’re so easy to duplicate and disperse, but they’re also prone to get lost. The media on which they’re stored is often iffy as well…hard drives give out, online storage sites can go out of business, files become corrupted. Strangely enough, tape is still the most reliable long-term storage available, so if you’re not using tape backup for you digital files there’s always the chance that the audio will be gone forever. You can avoid that by having an audio transcription service get those words down into a small, easily emailed file that you can even print off. SEO: The greatest advantage that a transcription service will have for your business is in terms of search engine optimization and helping people find the information you have on your website. When you have your interviews as text, it makes it so much easier for people to find the interview. They might not even know who was being interviewed, but if they remember just a few keywords (or a quote), they’ll end up at your website. Whether you’re just starting now or have entire archives of interviews that need transcribing, PressPlay transcription will be there to back you up and make you searchable. Contact us today!